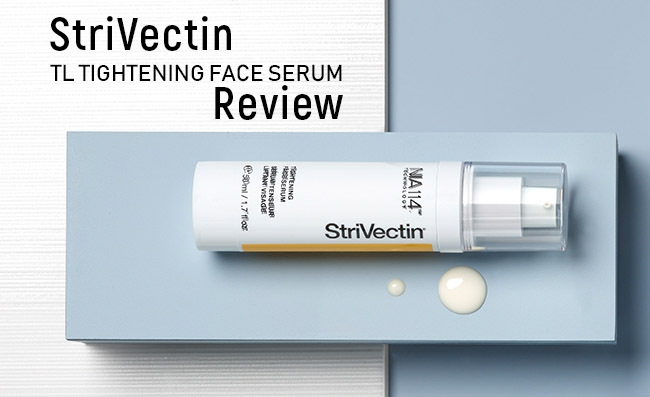 What is StriVectin-TL Tightening Face Serum? What are the tips for use? If you’re dedicated to your skin care routine, it’s no news to you that an efficient serum is one step to follow for achieving the younger and healthier look. A good face serum isn’t just going to tighten the skin, but it also going to leave it smoother and softer. It also makes it as a nice base for your typical moisturizer, improving its efficiency too. The serum is a lightweight option that works great for layering, leaving your skin softer, suppler and tighter. 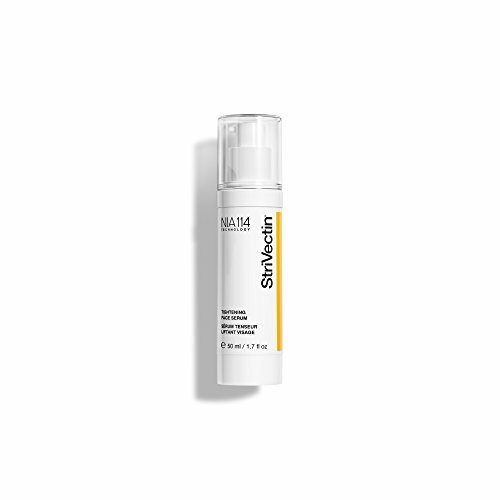 The powerful serum offers a strong dose of immediate toning so it firms and makes your face contour look young again. The secret behind the efficiency of the StriVectin-TL Tightening Face Serum is the revolutionary tetrapeptide which works together with the patented NIA-114 Technology, nourishing and firming your skin’s barrier. The skin becomes more defined and voluminous, while its elasticity increases too. This is why the face looks lifted and smoother, with nicer and more detailed contours. If the NIA-114 helps the skin keep its natural collagen, the entire Three-Tiered Technology works from within, resulting into firmer and tighter skin. The sagginess of your skin is all gone and the face looks young again. The formula doesn’t resume to that and there are many other ingredients that make the serum so highly efficient. Cyathea cumingii leaf extract-lifts the skin almost immediately. It’s efficient for creating a resistant and continuous film that presents high flexibility. The ingredient tightens the skin and preserves the youth of skin for longer time, minimizing the visibility of fine lines and wrinkles. It also improves the micro relief. Malus Domestica Fruit Cell Culture Extract- has anti-aging abilities and extend the life span of skin cells. Algae extract-fights against the aging of skin as it’s full with vitamin A, B, C and E. it offers protection to skin against the sun’s UVs. It lessens the appearance of wrinkles and fine lines, nourishing the skin. It sooths the dry and sensitive skin. Honeysuckle flower extract-calms the skin as it presents anti-inflammatory and antiseptic abilities. It calms the symptoms of blemishes, rashes and poison ivy. It alleviates the sunburns too. Lepidium Sativum Sprout Extract-inhibits the melanin and whitens the dark spots. It brightens the skin and reduces the visibility of discolorations, minimizing the effects of the outer aggressors. It evens out your skin tone. Hydrolyzed hyaluronic acid- it makes the skin firmer and smoother. It moisturizes the skin and increases its elasticity too. smooths and firms the skin. It seals in the moisture of skin and helps the skin keep its elasticity. Sorghum Bicolor Stalk Juice- tightens the skin and makes a stretchy-film that ensures a fast and resilient micro-lifting effect on skin. Cyperus Rotundus Root Extract (extrapone nutgrass)- is an effective skin lightener. It inhibits melanin and treats also fungus infestations, rashes, itching and herpes. on top of everything else, the formula is non-comedogenic and doesn’t clog pores. You should only apply the serum on your cleansed face. You can confidently include it in your daily skin care routine, both in the morning and at night. A little goes a long way so you only need a bit of it for each use. Gently massage it into your skin, using circular motion until it’s fully absorbed into the skin. The serum smells nice and has a nice consistency. It doesn’t feel greasy on skin and sits very nice under your typical moisturizer. It diminishes the visibility of pores and leaves a nice soft touch feel to your skin. One may feel it a bit drying, which is why following it with a good moisturizer is a wise thing to do. As long as you’re aware of the fact the serum doesn’t come cheap, we see no reasons for which you shouldn’t try having a younger, firmer and nicer looking skin for a longer time. Recent reviews on Sugar & Fluff Beauty: the Oz Naturals Vitamin C Serum, the Grow Gorgeous Hair Density Serum, the Neocutis Bio Restorative Serum Intensive Treatment Review, the Rodial Bee Venom Moisturizer Review, the StriVectin TL Advanced Tightening Neck Cream Review.